Super Eagles coach Gernot Rohr has said his team will approach their final 2019 Africa Cup of Nations (AFCON) qualifying match against eliminated Seychelles with all manner of seriousness, adding that the tiny Indian Ocean nation are ‘able to play well’. Nigeria, who are already through to the 2019 AFCON in Egypt, face the Pirates of Seychelles in Asaba on Friday, 22nd March in a largely ceremonial fixture before confronting Egypt in an international friendly four days later. 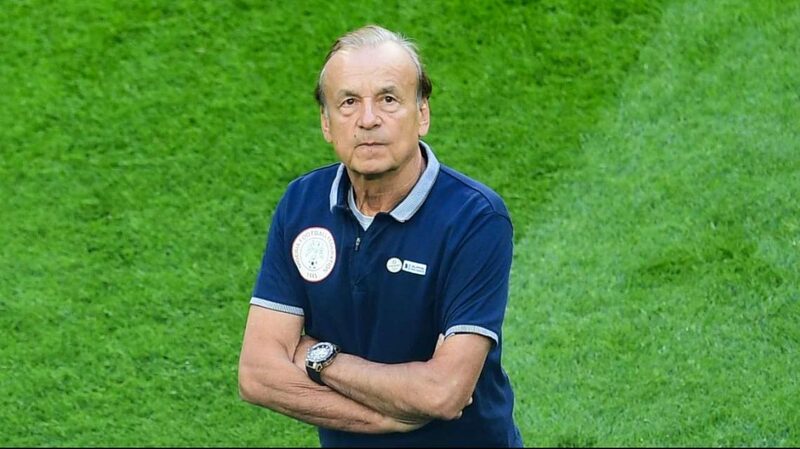 But Rohr has hinted that the 3-time African Champions won’t underrate the minnows who have conceded a whopping 22 goals in 5 matches in Group E of the qualifiers, scoring just two, and are rooted to the bottom of the log with a solitary point. “We are approaching this like a strong match because you know that it is not easy to win a game today,” the former Burkina Faso and Gabon coach said. “There are no small teams anymore, and we have to concentrate very well and be well-prepared to make this first match against Seychelles. “Seychelles made a (goalless) draw against South Africa (at home in Victoria). So they are able to play. And they are already in camping since the beginning of March. They’re preparing well for this match also,” the 65-year-old informed.